Sleep Apnea is a common condition that can create lasting problems and threaten the life of people suffering from it. Sleep apnea is a condition which causes people to stop breathing temporarily during sleep. This is a major cause of snoring and daytime fatigue, and many people don’t realize they suffer from sleep apnea until they are tested for it. At Kirkland Family Dentistry, we specialize in helping patients overcome issues related to sleep apnea and provide a range of treatments that prevent loss of breath during sleep. Patients like our approach to treating sleep apnea because we don’t require you to be hooked up to a machine while you sleep, which can be cumbersome and difficult to wear for some patients. Unfortunately, there is no cure for sleep apnea, but it can be managed through proper treatment and attention. By providing continuous positive airway pressure, commonly referred to as CPAP therapy, patients find relief through the wearing of a large device while they sleep. At our modern dental office, we provide lightweight options for patients and can explore alternative treatments for such conditions that might provide relief and prevent the condition from becoming worse. The problem with treating sleep apnea with a CPAP machine is that many people cannot get comfortable enough to fall asleep or stay asleep and therefore don’t follow through with the treatments, leaving them to remain at risk and losing vital sleep. However, when presented with a more comfortable and compact option, such as our lightweight treatment options, patients have a greater chance of success in overcoming sleeplessness, fatigue, and other loss-of-sleep-related issues. Alternative options include night guards that are worn like retailers that provide stability and resistance to your airway while you sleep, providing a more comfortable experience while providing you with the support you need. Improving your sleep cycle means more sleep of higher quality that helps maintain your overall health and wellness. We’ll fit you for an oral appliance and provide you with information to help make your sleeping experience more enjoyable. What are the Potential Risks of Sleep Apnea? There is evidence to suggest that sleep apnea can lead to high blood pressure, obesity, and heart problems when left untreated. Sleep apnea can also contribute to diabetes or complications of diabetes, as well as other medical conditions that can pose a series threat to life. Because people with sleep apnea often experience loss of breath and disrupted sleeping experiences, they may be irritable, in pain, have lower than usual cognitive awareness or abilities, and may pose a risk to themselves and others when operating motor vehicles or heavy equipment. When we are tired, there is evidence to suggest it is akin to having consumed alcohol and our response times are weakened. If you are currently undergoing treatment for sleep apnea, but have a difficult time maintaining the treatments because of bulky CPAP machines, reach out to our professional and knowledgeable staff today to book an appointment to discuss how lightweight sleep apnea treatments might be right for you. We take the time to get to know your needs, discuss the risks of delaying or avoiding treatment, and provide you with options to get your sleep apnea under control in a way that makes sense for you. 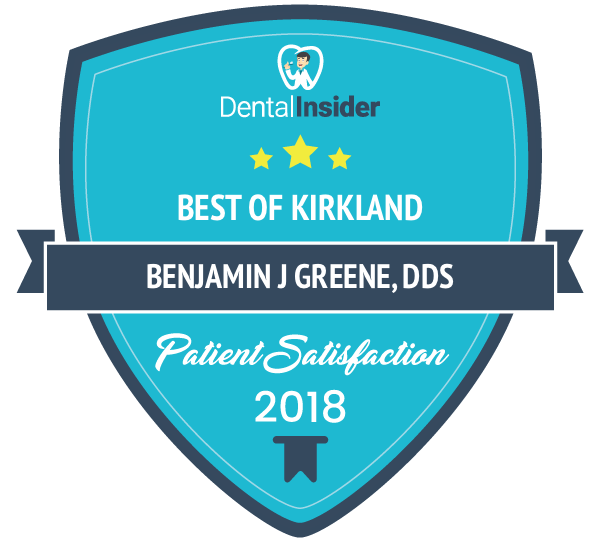 At Kirkland Family Dentistry, we provide our patients with a warm and friendly welcome and take the time to get to know their needs and health goals. We’re more than dentists, we care about your health in general. We can help you manage your sleep apnea. We offer oral appliances, such as mouth guards, and more to help you regain quality of life and provide you with a better sleep. Many people think their first call should be to a family doctor, but the team at Kirkland Family Dentistry can provide you with everything you need to have a better night’s sleep and live a healthier life. If you are struggling with sleep apnea, or think you might be, contact us today at (425) 822-0435 to learn more about how we can help you address this. We are also available online for questions or appointment booking. Whatever your needs, we look forward to helping you regain control over your sleep apnea so you can experience a better night’s sleep and get back to feeling great.